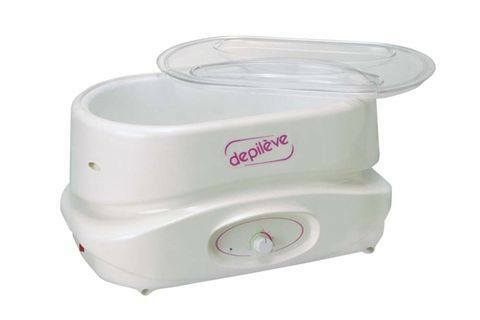 The Depilève Paraffin Wax Warmer features wrap-around heating coils for quick meltdowns and also has a precise temperature control for client comfort. The safety thermostat prevents overheating and the deep well accommodates up to a size 14 foot. For more information, visit Depilève.